10 Life-Changing Things to Do in Cusco. Brace Yourself for #8. Once the capital of the Inca Empire, this vibrant colonial city cradled by the rugged Peruvian Andes is a magnificent fusion of ancient vs. modern. Tourists who travel to South America’s most famous and most visited draw, Machu Picchu, inevitably start in Cusco but are soon seduced by the well-preserved UNESCO World Heritage city and often stay longer. My visit to Cusco with AdventureSmith Explorations was wonderful. Indeed, Cusco is one of the most fantastic cities I’ve ever visited. It can enchant and enhance your life in so many ways. Here are the best things to do in Cusco. Dating from 1200 A.D., the city has a rich, complex, colorful history that combines both pre-Columbian and Spanish colonial culture. It was founded by the first Inca ruler, Manco Capac, but enjoyed the greatest development under the guidance of Pachacutec in the 15th century. Spanish invasion led by Francisco Pizarro ended the Inca era. The city is cradled by several Inca ruins, the most impressive of which is Sacsayhuamán. At an altitude of 12,142, the fortress which overlooks the city was thought to be impregnable, but Spanish conquistadors charged uphill and in an epic battle, defeated the Inca army. I can attest to what an extraordinary feat that must have been. Just climbing the multitude of steps to get to the top for the panorama left me breathless, gasping for air, and unable to talk (a rarity to say the least) on several occasions. You can’t visit Cusco without seeing its most famous piece of art. In the Plaza de Armas, at the historic Cathedral Basilica, there’s a painting by Marcos Zapata done in 1753 of the Last Supper. The painting portrays Jesus and the twelve apostles gathered around a very unorthodox entre…a guinea pig laying paws-up on the platter. What better place to cook than in a rooftop kitchen and terrace with a bird’s eye view of the city? Our cooking lesson in Xavier Vargas’s Rooftop Kitchen was a blast! We learned how to make trout ceviche, red quinoa blue cheese risotto, and Peru’s national drink, the pisco sour. The only thing better than making the scrumptious dishes was eating them! Who knew llamas were so appealing. In the countryside in and around Cusco, you’ll see them everywhere. They are generally friendly and just as curious about us as we are about them. Be aware however, if you get too close they are known to spit! Cusco is a marriage of both Inca and Spanish architecture, with colonial buildings layered on top of Inca stone foundations. The Inca foundations and walls were constructed with granite stone blocks, skillfully crafted together without mortar for structures so strong they survived both attach and earthquakes. The Plaza de Armas is the historical center of Cusco. It’s awash in exquisite colonial architecture sporting stunning carved balconies. The square is a popular tourist attraction with a beautiful central fountain, churches, cathedrals, restaurants, and shops. Cusco is the gateway to the Sacred Valley and the largest and most comfortable city to set off for Machu Picchu and other Inca sites. The world-famous Inca Trail starts just a short distance from Cusco. In addition to Machu Picchu, other Inca ruins such as Chinchero, Pisaq, Ollantaytambo, and Ancasmarca are just aching for their turn to be explored, and unlike Machu Picchu, there are no crowds. Due to the elevation, the hikes can range from moderate to extreme, but don’t let that stop you. Take your time, take as many breaks as you need, but do get to the top – the views will blow you away. If you dare, try some of the other popular Peruvian street food, such as antichuro (beef hearts). And brace yourself while in the market if you’re squeamish – you’ll see entire pig heads and other animal carcasses. The vibrant San Pedro Market is hands-down the best place to buy just about anything. Housed in a huge indoor warehouse, it’s a labyrinth of vendors selling colorful alpaca weavings, handmade Pachamama dolls, fruits and potatoes (Peru has over 4,000 varieties), flowers, many varieties of quinoa (Peru’s superfood), and carcasses of pigs, guinea pigs, and other animals. Towards the back are stalls loudly hawking cooked snacks, soups, and meals as patrons walk past. I’m speaking tongue-in-cheek, of course. Taking back anything made from coca leaves is illegal for Americans, but that doesn’t mean you can’t enjoy – or at least try – such products in Peru, where it is legal. The coca tea is actually pretty tasty and said to help with altitude sickness. Our guide, Silver, highly recommended chewing coca leaves to increase energy, suppress appetite, and as an aphrodisiac. Say what? I gave it a good try. I really did. Note: enjoy as much coca tea as you like in Peru, but do not attempt to bring any back to the United States. It’s illegal there. 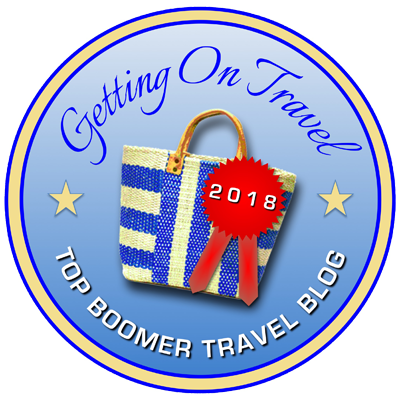 For more about Cusco, the Sacred Valley, and Machu Picchu, listen to Patti’s interview on the Travel Planners Radio show. Disclosure: The author was honored to be the guest of AdventureSmith Explorations during her stay in Cusco, but as always, the opinions, reviews, and experiences are her own. Tagged AdventureSmith Explorations, coca leaves, Cusco, cuy, Peru. Pingback: Is Machu Picchu Just for Backpackers? Definitely Not! I loved my time in fascinating Cusco. Some of my travel mates ordered the cuy! As I had guinea pigs growing up, I couldn’t order it myself. But I did order some alpaca bruschetta! It was pretty tasty, albeit very salty. I also enjoyed experiencing the different varieties in Peruvian tea and coffee. I love guinea pigs,I don’t know if they prepare in the same way as in Spain,but Indeed the skin is also crispy. Eeew that pig’s head really is a shocker! Even for me who is used to seeing all sorts of decapitate beasts in Mexico. Good tip on the coca tea – I drank a lot of it in Bolivia and although it didn’t seem to help a huge amount on altitude sickness it did lift the spirits. What a fun post chock full of things to do. I think the cooking class would be fun and boy..those little llamas look so cute. Glad you had fun! Great tips! I really love llamas, and Cusco looks like a beautiful place to visit! I used to have a guinea pig as a pet though, so not sure I could eat one! Those llamas are the cutest things ever. Did they spit on you? Thanks for the heads up on the pig heads in the markets, I’m not sure how I would react to that. Machu Picchu is something I want to do… it’s on my list! I did encounter quite a few llamas while in Peru, and thankfully none of them spit on me! I’ve wanted to try guinea pig for a while now. Surprised to learn that it has a gamey flavor. I’d love to try coca tea as I’m a huge tea drinker. While I was born and raised at a high elevation during my toddler years, I’ve lived at sea level for years, and have suffered altitude sickness – not fun! I’d definitely have to let myself adjust. Yes, the altitude can be difficult. I got a Rx so I was okay — I didn’t want to miss any of the trip. The coca tea was good! we would love to go to Machu Pichu, but with little ones the altitude can be a problem. Therefore we’ll wait a couple of years. We always feel healthiest at altitude. But never quite ambitious enough to eat guinea pig:) Pinned! I have yet to make it to Cusco, and would love to experience all of these things. Except maybe the guinea pig. It was served in Ecuador when I was there and even the locals didn’t recommend it. Kudos for your brave spirit!